It seems that nobody quite knows what to call Kajabi… Or the market we serve. Is it an online course platform? A learning management system? A digital product delivery platform? A membership site creator? A landing page creator? A marketing automation platform? A funnel builder? The list goes on and on… I’ve literally heard it all. My answer is while Kajabi does replace the need for any of those things, I don’t put it into any of those categories. 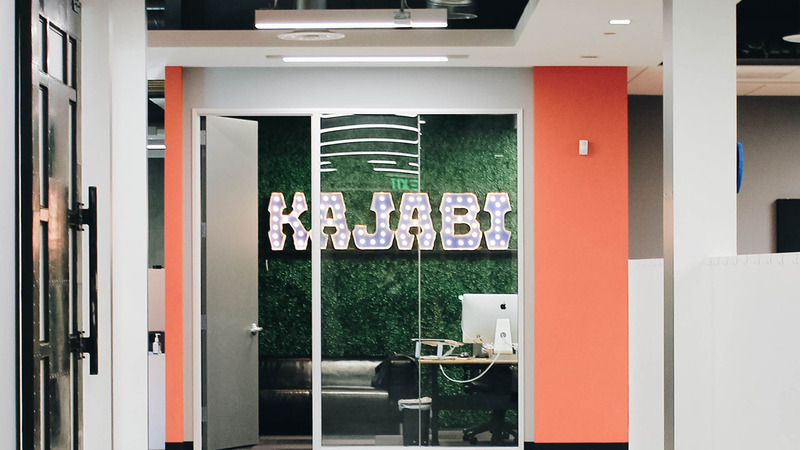 Kajabi is in a category of its own… alone with no equal. Kajabi is a Knowledge Commerce Platform. 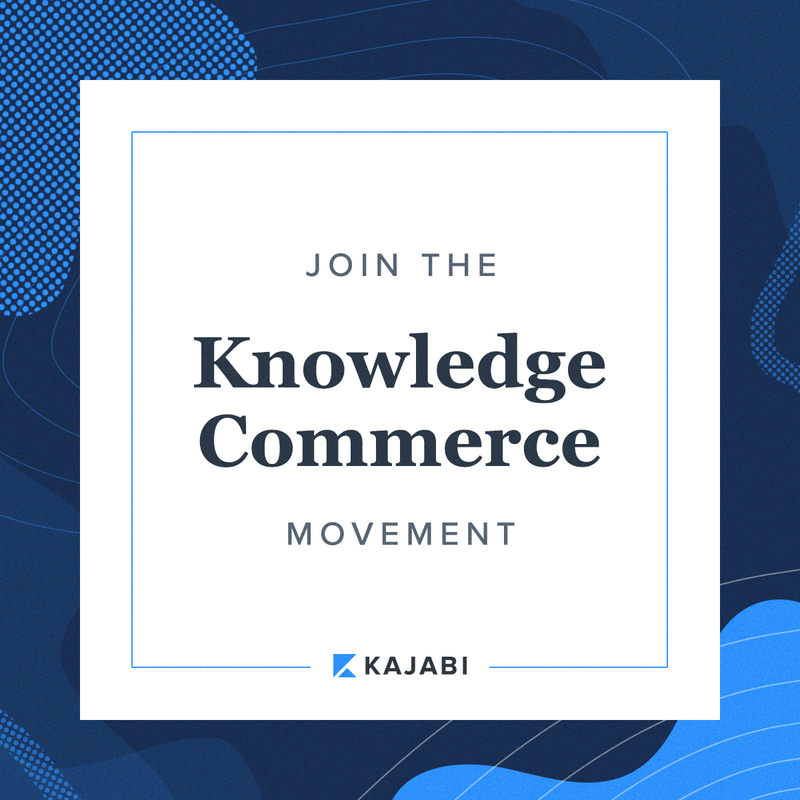 Here at Kajabi, we’ve been throwing around the term “Knowledge Commerce” a bunch lately. Let me tell you exactly what it is, and why it’s going to matter to you a LOT in the coming years. This starts with a history lesson. Don’t worry, it’ll be quick. It's ironic, but this week I've been helping one of my sons study for a history exam, and I’ve found myself shaking my head and thinking how boring and impractical some of it seems. Now, here I am telling you about history… haha. I would guess that if I did a survey, most people would say that we're in the Information Age. People would say it started around the time of the dot-com boom, and that’s where we sit today. I would argue that we're not in the Information Age anymore, and I'll tell you why. The Information Age is all about easy access to information. It's about everybody getting a dot-com. 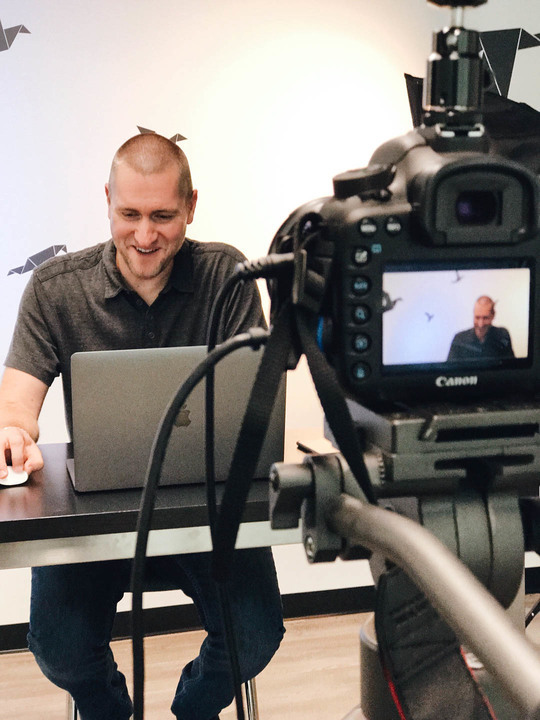 That's the Information Age… Everybody came online, everybody was putting information online, Google searches and YouTube were getting popular, and you could really find out how to do almost anything you could think of online. The same is true today. You can search up almost anything in the world, and you can find out how to do it, but here's the problem with that: The problem is that there's so much misinformation and disinformation all over the place. It’s so noisy. You know what I'm talking about. It's like, you get paralyzed because you see so many conflicting things, and the purpose is defeated. There's so much information that nobody knows what to do. There's an awesome quote by John Naisbitt. He said, "We're drowning in information, but we're starved for knowledge." That’s a perfect way to sum it up. I would argue that the Information Age is dead. We are now in the Knowledge Age. The Knowledge Age is the age that delivers on the promise of technology actually improving your life. It's no longer just a cool thing to have a website out there. It's an age that engages your passions, it enables your goals, and it empowers your ideas. Put bluntly, the Knowledge Age is ready to deliver on the promise that the Information Age made but couldn't achieve. You get the difference there, right? Knowledge is much more than information. The possibilities are endless, but knowledge is the application and curation of information. We're in this age where people are starving for knowledge. They want a trusted person to impart their knowledge on them. They want to be mentored. They don't just want to Google and find a quick answer to a problem. They want somebody to guide them and impart their knowledge on them. That's the Knowledge Age. Remember when I said this would be important to you in the coming years? This is why. Over 3-5 billion new users are going to join the internet-connected world between now and 2020, according to famed futurist and founder of the X-Prize, Peter Diamandis. And this “rising billions” is going to want the same transformative knowledge we’re all currently seeking. How many knowledge seeking consumers is that? That’s enough new consumers to match the entire population of 3+ new China’s, 5+ Europe’s, 10+ new USA’s of people getting connected for the first time and looking for knowledge, YOUR knowledge. So… Kajabi is a Knowledge Commerce Platform. It’s a platform which contains everything you need to participate in, and profit from, the Knowledge Age. Best of all, with Kajabi, it’s easy. If you’re reading this, I bet you have some unique knowledge that others would find valuable. There are people out there in the world who will gladly pay you money to hear how you present the information and life experiences which you already possess. Let us be your guide into the Knowledge Age. Let us help you share your knowledge with the world and make money in the process. Share in the comments below what you’d like to share in the Knowledge Age! Sign up for a free trial for Kajabi, and we’ll help you get going.